Chris Christie has been enjoying a wave of high approval status unknown to most politicians these days. 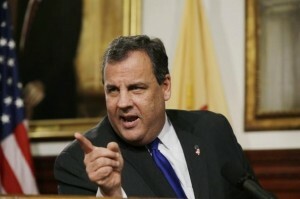 He is generally liked in his home state of New Jersey by all, Republican and Democrat. He is seen as the logical person to challenge a Hillary Clinton campaign in 2016. Until the revelations of what is now known as BridgeGate. “Time for some traffic problems in Fort Lee,” Kelly said in an e-mail to David Wildstein. Some have said the lane closures was political retribution against the Mayor of Ft. Lee, New Jersy, for not endorsing Gov. Christie. Really? Was that endorsement that needed? Chris Christie says no. He says he doesn’t even know the mayor of Ft. Lee, let alone sought his endorsement. Christie also says he knew nothing of the land closures, and swiftly fired Bridget Kelly. Wildstein resigned last month. I, for one, think that Governor Christie knew what was going on. While he claims to not micromanage his staff, a person who clearly has Presidential aspirations in 2012 knows what his top aides are doing at all times. I don’t see Bridget Kelly saying “I’m going to take it upon myself to shut these lanes down”. Does anyone really believe that Christie knew nothing? The problem is that Chris Christie thought he was untouchable. He has gotten away with bullying a lot of people, and he thought he would get away with this as well. Sorry, Gov. Christie. Not this time. You will be held accountable for any role you played in this. Oh, and a message to Bridgett Kelly: Girl, he isn’t standing by you at all. Why take the total fall for this? I would like to hear your side of the story. You have nothing to lose. No one is going to hire you after this, anyway. Tell your story! So now it seems as though a few in Chris Christie’s administration have been subpoenaed. I always say that the coverup is worse than the crime! IF Christie knew about the lane closures, he should have admitted it early on, took a few knocks, and moved on. 2016 is far enough away that people would have forgotten. Now, though, if it turns out that he did know, he WILL have impeachment proceedings started, as he will have now added lying to any other crimes he may have committed. The law firm Christie hired to represent him needs to be trying to get some sort of plea deal in place soon! If he is guilty, that is!